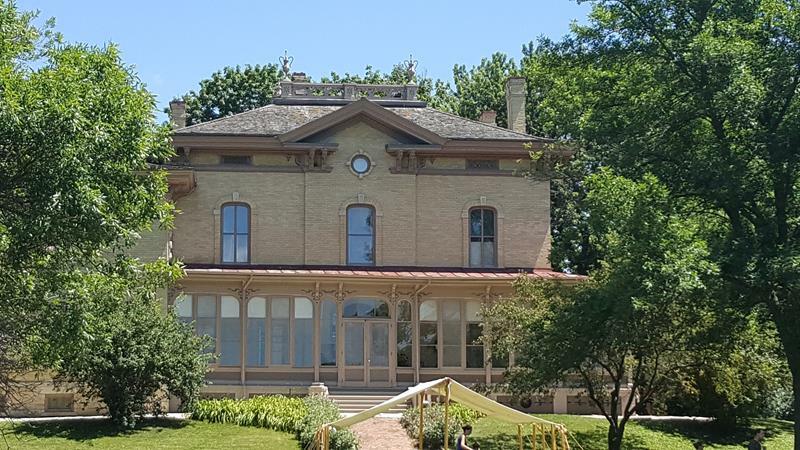 Villa Louis is a historic mansion on historic grounds along the Mississippi River in Prairie du Chien. 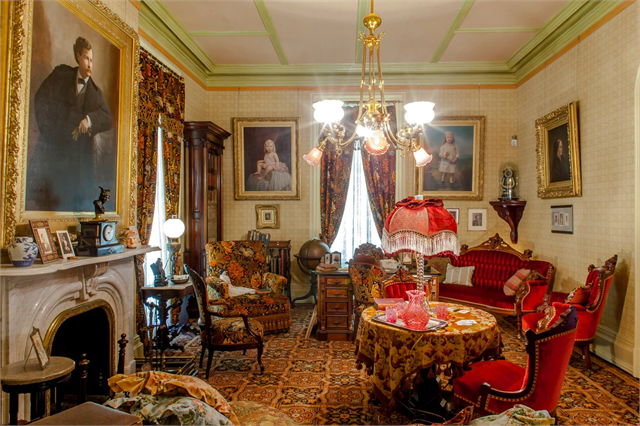 The mansion was built by H. Louis Dousman in 1871, replacing an earlier one built by his father, fur trader and investor Hercules Dousman, in 1843. Located on St. Feriole Island, the mansion was also known as the “House on the Mound,” owing to its construction atop a former Native American mound. The mound has come in handy, as the flooding on the island can be legendary. 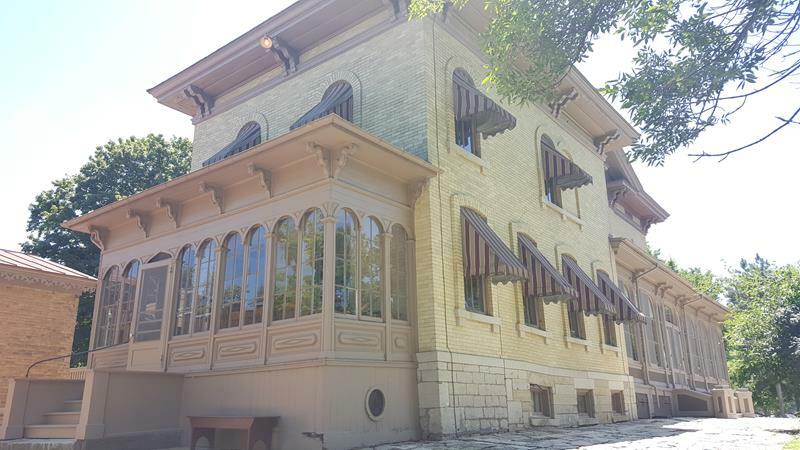 The Villa Louis mansion is a Victorian Italianate style home, constructed of Cream City brick. It boasted modern indoor plumbing and central heating, quite a luxury for the early 1870s (Wi-fi wouldn’t come along for many years.) It was remodeled and restored in 1885 and again in the 1930s when family members used the mansion as a boarding house school. A reconstruction of Fort Crawford in its original location. 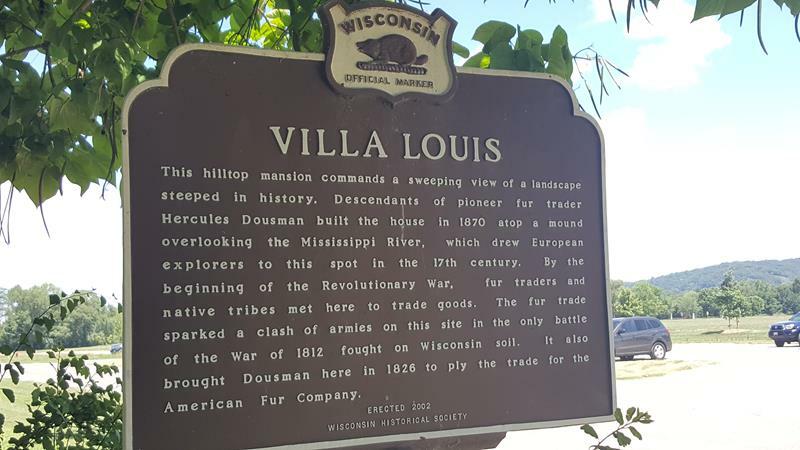 Villa Louis was acquired by the Wisconsin Historical Society in 1952 and it became Wisconsin’s first State Historic Site. 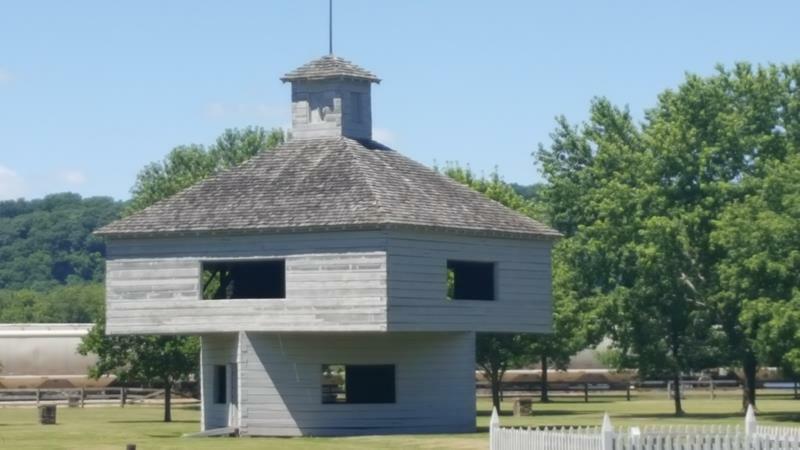 By 1960, it had become a National Historic Landmark along with two other structures on the grounds, the Astor Fur Warehouse and the Brisbois House. You can get all the information and begin a tour at the Visitor Center, which is open daily from 9:30am-4:30pm. You’ll notice it’s on stilts; that’s because the area does still flood sometimes! There are restroom facilities and a cool Museum Store inside the Visitor Center, plus the opportunity to get informational materials on everything in the area. Tours of Villa Louis depart at the top of each hour, generally from 10am to 4pm; you can get specifics by season here. You can get to Villa Louis via Blackhawk Avenue west from downtown, which was the original U.S. 18 route before the road was relocated to the location of the current bridge over the Mississippi. Today’s U.S. 18 and Highways 27, 35, and 60 bring you within blocks.